Replace your worn out 1985-2004 Mustang strut mount bushings with this high quality replacement kit! 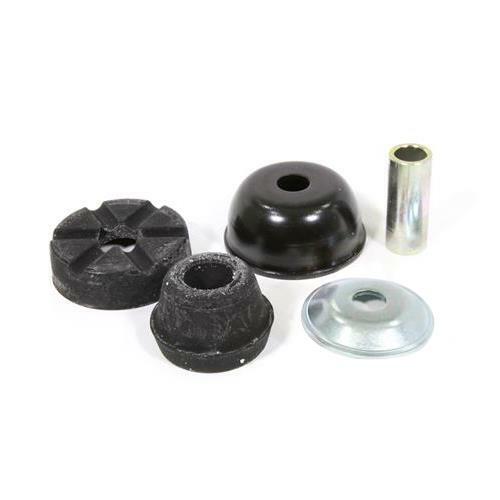 Restore the suspension on your 1985-2004 Mustang with this upper strut mount bushing kit! Over time, harsh road conditions and constant use can cause bushings to deteriorate. This leads to clunks, and overall bad ride quality. Replace your upper strut mount bushing with this direct replacement kit! This kit features a factory style rubber bushing to soften the vibrations a suspension can cause. Steel hardware is included to provide a safe and secure installation! KYB Front Strut and Rear Shock.